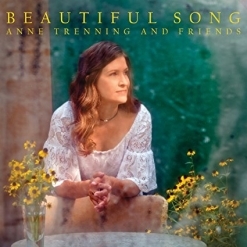 Beautiful Song by Anne Trenning and Friends is Trenning’s fifth album to date and features a very impressive group of guest artists that includes Bill Leslie (Celtic flute), Jane Brendle (violin), James Todd (cello), Jeff Oster (flugelhorn) and Ciro Hurtado (guitar). The eleven tracks are comprised of five original compositions by Trenning and six curated cover songs by Carlos Santana, Maurice Jarre, Neil Young and others. The album is a musical box of chocolates in that each piece is different from the others. Instrumentation and genre vary from piece to piece, but the title really does say it all and could easily be “Beautiful Songs.” The CD includes a twelve-page booklet with beautiful photography and notes about each of the pieces. 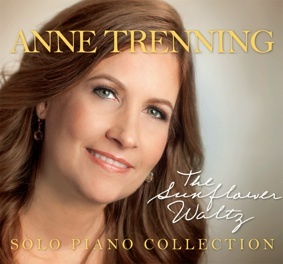 I have reviewed three of Trenning’s previous releases and this is my favorite (so far)! 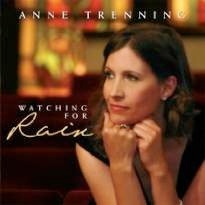 Beautiful Song begins with the title track, a piece about “the generational ties that bind us as family, and the love that intertwines through the years.” The poignant melody is uncomplicated and heartfelt, performed by Trenning (piano), Leslie (Celtic flute), Brendle (violin) and cellist David Meyer. “Helpless” is an instrumental version of Neil Young’s classic song arranged by Rick Dior. The piece includes a snippet of Pachelbel’s “Canon in D” and features piano, strings and accordion (John Magnie). “You Will Know My Love” is a lovely trio for piano and two cellos (Todd and Meyer) and expresses the joy of sharing boundless love with those we are the closest to. “El Farol” originally appeared on Carlos Santana’s 1999 album, Supernatural. This new arrangement is for piano, guitar (Ciro Hurtado) and cello (Meyer) and is one of my favorite tracks on the album. “Do I Hear Christmas?” refers to the intertwining nature of Christmas and love and is a quartet for piano, flugelhorn (Oster), flute (Jennifer Dior) and cello (Meyer). Slow, graceful and very dreamy, I really like this one, too! “Miller Gap” picks up the tempo and was inspired by an area in the Blue Ridge Mountains of North Carolina. This lively, joyful dance features the artistry of Trenning, Leslie and Brendle. “It’s a Great Day to Be Alive” begins with a piano and mandolin (Mark Schimick) excerpt of The Moody Blues’ “Tuesday Afternoon” and then flows into a sweet “ode to joy” by Darrell Scott. Also featuring Josh Daniel (guitar) and Brandon Bush (accordion), it’s a carefree bit of Americana that lifts the spirits and brings a smile. “Hard Times Come No More” is a song by American composer Stephen Foster (1826-1864), arranged for piano and two accordions (Magnie and Bush). I love the story behind “If I Could Be With You”! Trenning collects old sheet music for the artwork on the cover pages and framed a piece that bears the same name as this one before playing the actual music. Left wondering what the original piece sounded like, she wrote a new one in as she imagined the old one, and this is it! Todd, Brendle, Meyer and Jennifer Dior contributed to this elegant creation. Beautiful Song is an album that just makes you feel good with gentle melodies and an uplifting spirit. It is available from Amazon, iTunes and CD Baby. Recommended!